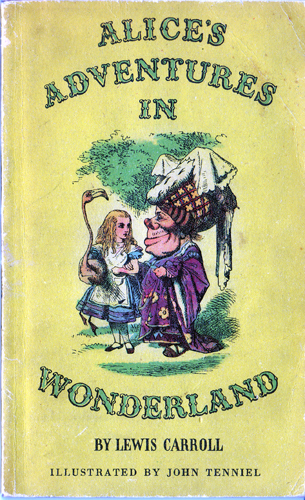 Description: Carroll's classic tale of the topsy-turvy world of Wonderland features a foreword by Eleanor Graham, describing how the magical story came to be, in this scarce Puffin edition. 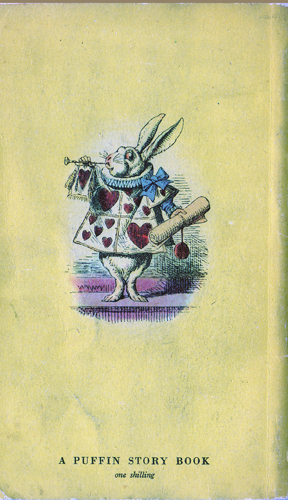 Also contains the Easter Greeting found in the 1876 edition of Alice. Illustrated with 24 beautiful b&w ink drawings by Sir John Tenniel (including a superb frontispiece). Pictorial covers are very lightly rubbed along their extremities. One negligible nick, plus minor crease to the front cover (refer to image). Remarkably for a paperback published not long after the end of the Second World War, the pages are only lightly tanned and haven't a single speck of foxing – other than some imperfections in the War Economy Standard paper on which they have been printed. A handful have been lightly creased from handling, but remain free from any marking. Binding is tight. An excellent example of the first Puffin edition. Measures 18 cm × 11 cm (7.2″ × 4.4″). 12mo. 168 pp.